U.S. First lady Michelle Obama, left, listens to Liberian President Ellen Johnson Sirleaf, right, after she arrived at the airport in Monrovia, Liberia, Monday, June. 27, 2016. Obama is visiting a leadership camp for girls in Liberia to launch her latest Africa visit in a country still recovering from the recent Ebola epidemic that left thousands dead. First lady Michelle Obama landed in Africa last week with her daughters and her mother for an overseas trip promoting education for girls, starting with a country recovering from the recent Ebola epidemic. The Obamas were welcomed in Liberia’s capital with a red carpet and traditional dancers wearing the red, white and blue colors of both the American and Liberian flags. They visited Morocco and Spain. 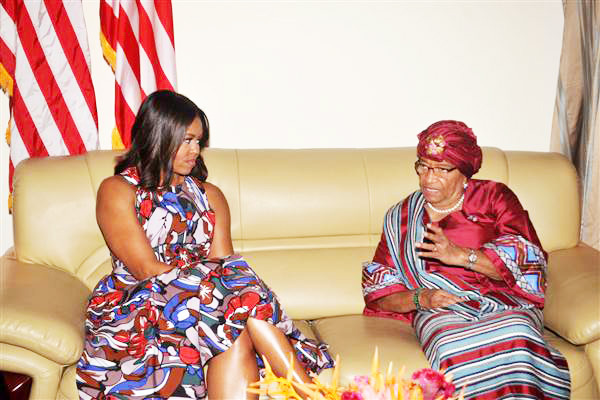 While in Liberia, the first lady met with Liberian president, Ellen Johnson Sirleaf, the continent’s first elected female head of state. The Obamas then visit a leadership camp for girls in the town of Kakata. A main topic of the trip is how to address the barriers facing girls trying to get an education after the Ebola outbreak. More than 4,800 people died in Liberia, and children missed several months of school. The Obamas’ last stop in Liberia is at a school in Unification Town to speak with adolescent girls, according to Tina Tchen, the first lady’s chief of staff. Founded as part of an effort to resettle freed American slaves, Liberia has deep ties to the United States. The country’s oldest technical and vocational high school, located in Kakata, is named for the African-American educator and civil rights activist Booker T. Washington. The school suspended mid-term exams scheduled to start Monday “to allow the students to give Mrs. Obama a rousing welcome to appreciate what the United States has done for us,” principal Harris Tarnue said. 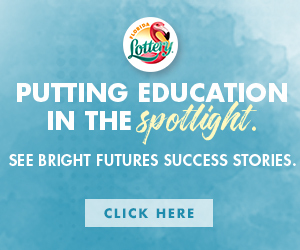 “She will be a real inspiration to the young girls around here,” he said.